Users didn't pay $130 to get audio commercials. Given how genuinely useful so many of its products are, I sometimes forget that Google is, above all else, an advertising company. The vast majority of Google's money comes from ads, and it has made a business out of finding ways to integrate them into its services. Search, Maps and Gmail are just a few Google services that integrate ads without compromising their utility. 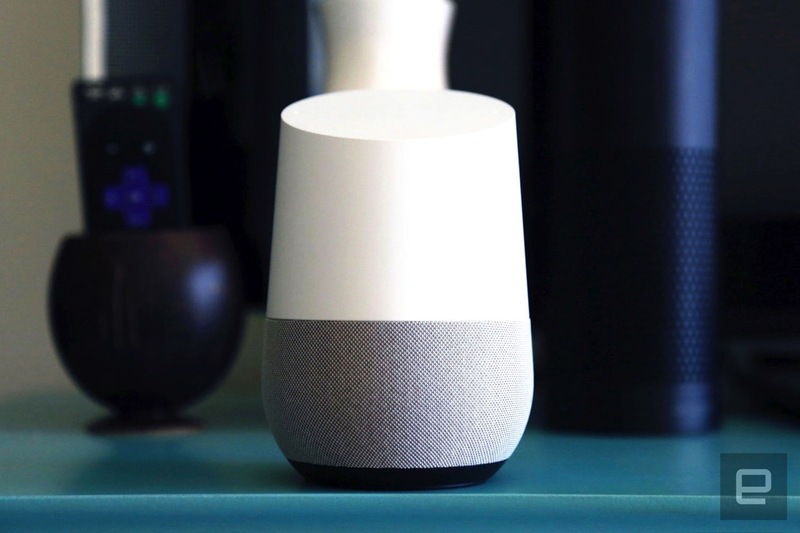 However, Google outdid itself yesterday when it dropped an advertisement for the new Beauty and the Beast film into Google Home and the Google Assistant. The device has a feature that allows you to ask it to tell you about your day, and it responds with weather, traffic, your agenda and news. In the middle of that, Google Home informed users that Beauty and the Beast arrived in theaters and made a cutesy joke about the film. The whole thing lasted about 15 seconds, but it was nonetheless an unexpected intrusion that made users remember how often they are the product that Google is selling. Even worse was Google's first attempt at responding to press inquiries. The company had the audacity to say: "This isn't an ad; the beauty in the Assistant is that it invites our partners to be our guest and share their tales." To me, this means that any partner that wants to work with Google can show up in my living room. Being hassled by advertisers while using Home isn't a "feature" that Google has ever talked about before. The backlash was swift; Google responded quickly. Within a few hours, Google had removed the ad from Home and issues a mild apology. Even then, though, it refused to call the message an ad. And lots of Home users are likely going to be suspicious that their device will start shilling products at any time, without warning. The problem comes down to breaking user expectations. Google advertised a set of features and services for Home in exchange for your $130; integrated ads was not among them. It's different with a product like Amazon's Kindle readers, which display ads on the screen when the device is locked. Though Amazon uses the tricky phase "with special offers" to describe Kindles with ads, the product description is clear enough. And you can always pay a little more to get rid of those ads entirely. Google Home is different. The company has an email address for every single Home user -- if it wanted, it could have contacted them about a new "partner messages" program coming to the device. Even if you couldn't opt out, getting a heads up is the bare minimum I'd expect; that email wouldn't keep me from getting ticked off about the change, but at least I'd be aware of what was happening. To some extent, I believe Google wants to find ways to extend the "my day" feature by including some timely info. Home has already given some info about the Oscars ahead of the show, and it also had a special Black History Month story in February. But those experiences are a lot different from a message that simply sounded like an ad, as much as Google claims that wasn't the intent. Even if we accept Google's line that it's just trying to find ways to enhance the "my day" feature, it should be a strictly opt-in feature. The Google Home app lets you customize exactly what you'll hear when you ask the device to tell you about your day. The lack of a checkbox or any other information for these "partner messages" makes Google's explanation ring hollow. Google's apology and quick action around the Beauty and the Beast ad at least kept me from giving up on Home entirely. But given how Google makes money, we should be prepared for something like this to happen again. Hopefully, Google has learned its lesson and won't invade Home users' ... homes without express permission. Personally, the only ads I'll tolerate on Google Home are from ad-supported services I might use with it -- not from the Google Assistant itself.